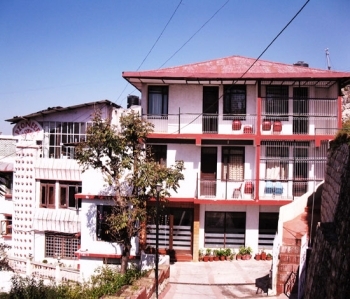 Hotel Pioneer is a 2 star deluxe hotel in Mussoorie offering a budget and comfortable stay in the town. The hotel provides all modern facilities and excellent services to ensure a perfect holiday stay. Located near the Picture Palace bus stand, the hotel has in house multi cuisine restaurant. Built in 1980, the hotel has come up with modern in room amenities and the art of customer satisfaction as well. All famous tourist places in Mussoorie such as Gun Hill, The Mall, Clouds End , Lal Tibba etc can be easily accessible from the hotel. Hotel Pioneer is located at the Mall road near Picture Palace bus stand and New Kulri Market is at just few steps away. Famous Mall Road is at 100 mtrs from the hotel. Nearest railway station is at 32 kms in Dehradun and the Jolly Grant Airport is at 55 kms away from Pioneer. Hotel Pioneer provides 35 nicely decorated rooms with classy furniture and curtains. The rooms have all modern amenities such as LCD TV, attach bathroom with 24 hr hot & cold water and wardrobe. There are several option for guests to select the room as per need and number of person. The hotel has double bed luxury, deluxe rooms and triple bed luxury, deluxe rooms with suite as well. Deluxe rooms do not offer valley views. The hotel has its own in-house multi cuisine restaurant with spacious dinning area. Guests can enjoy the delicious food in the in-house dinning restaurant.